kirkwoodstudentmedia students can sell National Geographic Learning's Visual Geography of Travel and Tourism (ISBN# 1133951260) written by Jan van Harssel, Richard H. Jackson, Richard H Jackson, Lloyd E. Hudman and receive a $5.24 check, along with a free pre-paid shipping label. 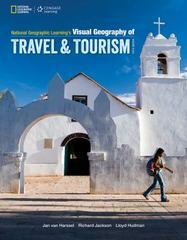 Once you have sent in National Geographic Learning's Visual Geography of Travel and Tourism (ISBN# 1133951260), your Kirkwood Community College textbook will be processed and your $5.24 check will be sent out to you within a matter days. You can also sell other kirkwoodstudentmedia textbooks, published by Delmar Cengage Learning and written by Jan van Harssel, Richard H. Jackson, Richard H Jackson, Lloyd E. Hudman and receive checks.